Thankyou Chie for a great Tokyo tour. Despite the weather you made sure the kids and I had plenty of sites to see and things to keep us entertained. Some that we would have never experienced had we explored ourselves. Chie was amazing. Very flexible, accommodating and friendly. I sent her a list of things we wanted to see and she provided some recommendations. On the day of the tour she adjusted on the go based on how the day was going and what we liked. We were traveling with our 12 yr old so she also catered to what would appeal to him. Chie was also well versed in the history and provided us with a lot of historical background. I would recommend her to anybody who wants to really experience Tokyo. Thank you Chie for a great tour today. You were great fun and really flexible. We can't believe how much you managed to fit into our day. Chie is a wonderful guide. She planned the perfect day for our family to help orientate ourselves and get the best out of our stay in Tokyo. She really took time to listen to what our interests are and she gave us loads of practical advice on how to get around, places to visit and where to eat. She was very knowledgeable about history and culture. We learnt so much from our day with Chie. For any first time visitors to Japan, I would highly recommend a day with a guide like Chie to help find your feet. Chie is a great tour guide. She really knows her way around the city and has a lot of useful comments and suggestions. We had a great day with her. Highly recommended! Chie was such a great guide and very friendly. She really took care to plan our day to maximize our time together. She explained how the train system worked so we knew how to get around the rest of our trip. She made sure we made it to all our sites on time and even found the perfect lunch spot for us. I would definitely recommend her for your trip to Tokyo! We enjoyed this day with Chie so much. She was a wonderful guide with lots of knowledge and explained the history of many areas We got to see everything we wanted plus more. Thank you Chie for a brilliant day. My day in Tokyo with Chie was a delight. Chie was thoughtful, knowledgeable and passionate about sharing her enjoyment of her city. She was able to tell me about historical, cultural and contemporary aspects of Tokyo, as we explored the vibrant areas of Harajuko and Akihabara, the elegant Otesmanda and the more sedate Yanaka. I loved this day with my guide. Chie met and exceeded out expectations. She was helpful in assisting us prior to our visit creating an itinerary. She was prompt arriving to our hotel, and guided us efficiently though the city during our day. We only had 1 day to visit Tokyo and I am so glad we chose to use a guide. We never would have learned about the culture and seen as much as we did trying to go at it on our own. Chie was very informative, helpful, patient and an excellent navigator. We highly recommend her. Chie is lovely - personable and informative. She gave us a wonderful experience and insights to Japanese life which we weren't expecting. We highly recommend a tour and/or Tea Ceremony with Chie. Chie was amazing!! She was very friendly and helpful. She made sure everyone had a good time, was very patient with the children and very knowledgable. Her English was very good and was happy to change the itinerary to anything we wanted to do. Thank you!! My tour guide Chie was excellent. She was on time, very informative and attentive. She even helped me with my next days plans guiding me as to how I could go to Kamakura by myself. Because of her I had a wonderful experience. Thank you so much and I will recommend her to my friends. Chie was so wonderful and patient with us as we navigated through a long, hot, but exciting, day. She helped us tremendously with our transit challenges, and was very informative every step of the way. It was especially illuminating to get her perspective as a resident. She made sure that we got back to our apartment, and even followed up the next day with more helpful tips. We would unreservedly recommend Chie 100% for anyone, especially those new to this great city. Chie is amazing! She was very patient and helpful. I enjoy the tour and learn a lot with her. She was always looking for a way to enhance my visit and she was very flexible with the changes I made to the tour. I was very lucky to have the opportunity to book my tour with her, she is so smart. Thank you Chie. Chie is an awesome, knowledgeable, and a very patient tour guide. She is also very helpful and went an extra mile to make our tour extra special and wonderful. I would highly recommend her to others. Thank you so much for the amazing day in Toyko. You made my day so exciting and gave me so much valuable information. I would recommend you to anyone wanting an excellent tour guide. Friendly and flexible and great with kids! Good ideas when plans change and good suggestions when we didn't know what we wanted to do. I did not arrange for a tour guide before arriving in Tokyo but was delighted to get Chie with such a short notice. Chie was very flexible accommodating our need to avoid overlapping places we have visited on our own. Some of the highlight that we visited are: Imperial Palace, Fire ceremony, Chiyoda Park, Shibuya (Japan's "Time Square", Teen Fashion shopping area. I have gain more knowledge about Japanese culture and history after the tour which i plan to share with my friends back in the states. I would highly recommend Chie as your personal local tour Guide to anyone who is interested in having an authentic, customized experience while visiting here in Tokyo Japan. Chie is Professional, punctual, very accommodating, warm, & kind. She shared some of the local history behind some of the places we visited. Her conversational English was excellent she gave us hysterical insight to the places that we visited. My son and I was visiting Japan for the 1st Time and Chie made us feel safe with her. Pleasant and knowledgeable. Adjusted the itinerary to our interests as we went. Had a good day. My husband and I spent a delightful day seeing the highlights of Tokyo with Chie. It was a wonderful orientation to the city and Tokyo's wonderful yet complex transit system! Chie's conversational English is very good and we thoroughly enjoyed our immersion into the Japanese culture. Thank you Chie !!! Chie is an excellent tour guide. Her English is very good and she is very knowledgeable. She answered all our questions. We were able to do a full day tour with Chie on our first day in Tokyo. We were apprehensive about using the metro system but Chie eased our worries as she helped us navigate the subway/train stations. We visited the Tsujiki Fish Market, the Sensoji Temple, the Meiji Jingo Shrine, tried local street food and shopped along Nakamise Street. I would highly recommend Chie. Wonderful day out with Chie. We were 2 adults and 2 children and wanted orientation before exploring Tokyo on our own later during the week. Chie was communicative throughout the process and very flexible. She suggested a visit to a hedgehog cafe which the kids loved. We mostly just walked at our own pace and Chie was knowledgeable and explained many Japanese customs to us. At the of the day, the children said it did not feel like a tour, more like having a friend accompany us. Highly recommended. Chie was a wonderful host and a perfect guide for our first day in Tokyo. Her friendly demeanor and excellent conversational English immediately made us feel at ease and able to fully enjoy the tour. Her local knowledge also enabled us to see the cherry blossom late in the season and efficiently navigate the city and subway. Chie also kindly helped us with a train booking which was very much appreciated. Chie is an excellent guide! She took us on public transportation, explaining how to use it. We saw the sights we'd agreed on. Her English is near perfect. Don't miss the fish market. I would hire Chie again in a heartbeat. Chie is a wonderful host of her city and knows it very well. She made some great suggestions to make the most of our time. She was prompt and stayed an hour longer than planned to make sure we got to where we needed to that night. It was very important for her to make sure we had a great day which was really appreciated. There was a little bit of a language barrier which limited how much she could share with us about what we were seeing. In Japanese I am sure she is a wealth of information! We loved our Tokyo tour with Chie! She went out if her way to make the day enjoyable for our family and alter the itinerary to match our interests. She also made recommendations for places to visit during the rest of our stay. Thanks, Chie! Knowledgeable, flexible and patient with your kids!...obviously also an Origami expert! Chie was a wonderful guide. Helpful and thoughtful with great information about cultural differences which were most interesting. Loved the Tsukiji market and was willing to take us wherever we wanted. Lovely day spent roaming the streets of Tokyo at our own pace! Chie met my wife and I at the airport in Narita and led us to Tokyo on the Express train and thenthrough a maze of subways to Yasukuni which I had wanted to see for years. We were there a long time as I wanted and filled in the rest of the day with interesting sites. Best was an antique sword shop. She was a knowledgeable and delightful guide who catered to my special interests. Chie was friendly, knowledgable spoke good english and was a pleasure to be with. If you want a good day out and learn all about Tokyo I can highly recommend her. Chie is an extremely helpful guide she gave us all the information we required before the tour and met us on time where arranged. She provided lots of cultural insights and we saw many amazing sites with the freedom to stop and take photos whenever we wanted to. We had a great day, I would highly recommend Chie she was brilliant. Thank you Chie for making our day in Tokyo so memorable. It was so wonderful to wake up on our first morning in Tokyo and know we had someone collecting us from our hotel for a day of exploring. Chie was a wonderful source of information and helped us navigate our way around the public transport systems. We saw so much more than if we had done attempted this on our own and after the very full day we felt ready to continue our exploring of this wonderful city on our own later on in our trip. Thank you. I just had to leave a review because Chie was a wonderful tour guide on our recent trip to Tokyo. She is very informative, kind and accommodating. She worked extremely hard to make sure all our wants and needs were met which made for a very memorable and special day in Tokyo. Thank you Chie for everything! You are the best! Chie and Tours by Locals was absolutely the best. Our tour guide didn't miss a thing - lockers for backpacks at the airport (by the international departure gate for our airline), ATM's, subway and train tickets, shopping, tea ceremonies, fish markets - you name it she did it. She had a super spot for lunch all picked out and even put us on the train back to the airport. We can't say enough good things about Chie and this company. They turned an 11 hour airport layover into a great tour. Thanks Chie. Very accommodating and informative guide. Thank you. Chie was a great tour guide. Her english is very good and we enjoyed our time with her. We will definitely recommend her to first time travelers. Chie was a wonderful guide. She is very friendly, and was very accommodating of our requests and interests. We packed more into one day than I think we would have been able to see on our own over two days. Chie also helped us learn how to use the subway system and about restaurant etiquette. In many ways, it felt like we were visiting Tokyo with a friend. We highly recommend Chie! Wonderful tour of Tokyo. We truly enjoyed our day with Chei! Chie exceeded expectations with sincere research of my 2 day custom tours. We communicated many times before my arrival and all of the preparations resulted in efficient use of time and effort. We toured many different architectural sites far from the normal tourist venues. Chie was sensitive to one of our friend's mobility needs and she navigated the complex subway system like a pro. 5 stars for sure. Thank you Chie!!! TOUR GUIDE RESPONSE: Thank you, Bob. Chie was a great host and this was a fantastic way to learn about Tokyo on our first day. We really appreciated her patience and guidance. Would highly recommend her to other travellers. Chie Yamamoto was wonderful , flexible and caring! We got a great day of everything we wanted to see in Tokyo. She was extremely friendly and knowledgeable. She also showed us some great shops, fulfill all my children and our wish list and food spots even help us have the family photos together. It was a fantastic time. Thank you very much for the great experience travel in Tokyo. We are pleasure and highly recommend if you go to Tokyo find Chie as your tour guide. You won't disappoint and regret it. I enjoyed the day tour that Chie planned for me. She took me to the Tsukiji Market. We were among the bustling crowds as we wound through the many isles of items for sale, inside and outside the market. We also went to Senso-Ji Temple and spent some time shopping the stores nearby. By request, she took me to the AXIS building in Roppongi Hills, to view various design shops and purchased some fabric at Nuno. We also visited a quieter neighborhood to observe everyday life. A wonderful day trip!!! Excellent guide for our trip to Tokyo. We found Chie to be very knowledgeable and flexible . Would highly recommend her to anyone. Thank you Chie for showing us around Tokyo on our first full day in Japan. We really enjoyed seeing some of the sights and your knowledge and insight was very helpful, especially on how to use the Metro. We've visited your suggested cat cafe today, which Abigail loved. We would highly recommend Chie to other visitors to Tokyo, for providing a tailor made tour to suit individual interests. Domo arigato! Chie was a fantastic guide. She was knowledgeable, friendly and customized the tour for our interests. In addition to the usual tour itinerary, my 8 year and 17 year old daughters had been looking forward to having cotton candy umbrellas since we arrived in Tokyo and Chie led us to the candy store where they made them. Huge hit with my girls! My son and I wanted to visit the Akihabara electronics area, and we did that as well. Great tour guide. All had a great time. Chie is an amazing guide. She took input from us and helped to craft a wonderful day. Great knowledge of the sight provided insider information and shared information on customs and traditions. Thank you so much for a great time. We had wonderfull guide tour with Chie on this month. Prior to our departure, we had email communications and she provided usefull information. She is very easy to talk to and flexible with our schedule. She is very knowledgable with history of shrines and temple we visited. Even though it was our second day in Japan and we were barely recovered from jetleg and hot tokyo summer, me , my wife Amy and two daughters really enjoyed our guided private tour. I would definately reccomend to her. Thank U Chie. Chie was a wonderful guide and I highly recommend using her!! We had a great time discovering Tokyo!! Chie was a dream! We LOVED her! What a great welcome to our first visit to Japan. While being terrific at giving us our tour, she was also excellent at informing us on the do's and don't in their culture. Chie also gave us expert advice on how to use the subway. Chie said on her profile that she was not fluent in english but we found her english very good. I chose her because thought it was a way to help us adjust to being here amongst people who's first language was Japanese. I'm glad we did it! Chie-san helped provide us with an amazing experience in Tokyo. Thank you for an unforgettable day of sightseeing, experiencing, and learning about Japan! Chie was a wonderful tour guide! In just 7 hours, we were able to cover all the popular areas in Tokyo. Additionally, thanks to Chie's great guidance and knowledge we were able to see the cutting of a huge Tuna fish and even got to hold it's head. This is an experience we would never have had if Chie was not there. Very informative, very friendly and very knowledgeable. If you need a tour guide in Tokyo, go with Chie! Our tour guide, Chie was very accommodating and fit almost everything we asked for in our day long experience. She spoke excellent English and provided extra details about every site we visited. We zoomed from site to site without any delay maximizing our time at each location. Great Experience and highly recommend. Ask for Chie you can't go wrong!!! Even though it's raining on this day Chie was able to guide us to amazing sites in Tokyo. See you in our next Tokyo adventure. Wonderful time with Chie. She was able to show us some interesting and vibrant sight in Tokyo. She is a very capable tour guide and it was the high point of our brief trip to this special city. Good guide. Very friendly and knowledgeable. Adapted to physical limitations of clients easily. Would happily re-engage services! Excellent tour guide! We are very happy with Chie and glad we used her as our tour guide. My kids and I had wonderful time in Tokyo - thanks to Chie. I definitely recommend her. This was my second tour with Chie this year. Again she did a outstanding job showing us the center of Tokyo. We enjoyed her tour very much. To be recommended! You can not find a better guide than Chie. Touring with Chie was like touring with a friend. She was so much fun and easy going. We booked 2 days with her and she did not disappoint. She took into consideration what we wanted to do and see and also made her recommendations. She even went beyond her time because we got carried away with taking pictures and sampling all the delicious food that we passed. Chie never hurried us but made sure we get to see everything we wanted. Chie was not only a guide to us but our friend. She was so personable and easy going. It's like touring with a good friend. We had a blast. We ate, sightsaw, took tons of pictures, had lots of laughters, it was so much fun. Chie is the most thoughtful guide you can ask for. She anticipated we might not know our way around the subway station and met us at our place instead. We have a medical emergency a few days after our tours and Chie gave us her number to call if we needed help with translation. Chie was an excellent guide around Tokyo. We had 3 children and she helped choose sights that she knew that they would be interested in. Her and knowledge and information was invaluable, especially understanding the travel network. I would highly recommend Chie to any traveller in Tokyo. Chie was an amazing guide. Very knowledgeable and with an excellent friendly nature! Highly recommended. I'm a repeat customer. Chie is so good that I wanted her to be the guide to introduce Tokyo to my son and daughter in law. Her knowledge of history is extensive. She seamlessly integrates this knowledge with imparting information about tradition and culture. She has intimate knowledge about current events because she answered all our questions about what is worthwhile to see and even informing us subway line closures during our stay. very sweet and friendly guide. However,since the guide was not very fluent in English we felt that we couldn't explain what all we wanted out of the tour and therefore had to wrap it up early. 5 stars. Chie was the best tour guide we ever had. She was knowledgeable, professional, and a pleasure to spend the day with. She took us to a wide variety of venues and managed to keep both our 23 year old daughter and ourselves engaged and awed of Tokyo. She had the knack to show us hip cool places and to appreciate the culture of Japan. It was a great jumpstart for our trip and one of the highlights. I would highly recommend her to others. Chie was an abolute delight! She provided an excellent introduction to the wonders of Tokyo and on a personal level. Chie took time to process my interests to come up with a walking tour that was truly based on my input and suggestions. This was a custom tour which you would be hard pressed to find anywhere else. Chie also went beyond our alotted time to aid me in my search for very specific gift requests from my family and friends. I have no hesitation in recommending Chie for your tour of Tokyo! Chie was an amazing guide. Friendly and very knowledgeable. She not only helped us see a lot of Tokyo but gave us insight into Japanese culture and history. She was very responsive to catering the tour to our interests, and she even showed us how to activate our rail passes and book JR reservations for our ongoing travels. I can't recommend her highly enough. Chie is a wonderful guide. She led two of us in a great introduction to Tokyo, taking us to a variety of sights that we wanted to see on our first day in Japan. 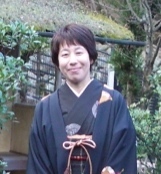 She told us a lot about Japanese history and also answered many questions about life in Japan. She helped us learn to use the subway system and gave us good tips for the remainder of our stay. And she is a very nice person. This was the 2nd day of my tour with Chie. This day, we went to Tsukiji market and had amazing O Toro. We then spent the time at the Imperial Place gardens. She provided great historical information as well as insights that we wouldn't have had otherwise. We attended a tea ceremony and then had lunch in Harajuku, went to the Meiji-Shrine and then to Shibuya. Though it was raining quite hard, Chie was a trooper and showed us everything that she felt was important. I highly recommend Chie! I booked 2 full day custom tours with Chie. Day one was great. We went to Skytree and showed us the great shops in Skytree. We then went to Asakusa and how to cleanse oneself, the right way in entering a Shinto Shrine. We then went to Akihabara and attended the Buddhist Fire Ceremony. Overall, a great first day with Chie. She will help build a custom tour to your taste and if you don't have preference, no problem...it will turn out great. Thanks for a great 1st day, Chie! Chie was a wonderful guide for our family's first visit to Tokyo. She was very accomodating and helped us with last minute plans for another family to join us. She was proactive in communicating with us prior to the tour and offered many helpful suggestions about getting around town. Chie was most friendly and professional in moving our large group of eight people around. We thoroughly enjoyed our Tokyo experience through the eyes of a local, and would highly recommend Chie to anyone. Great tour guide! Answered all our questions, modified the tour to fit our choices, and very responsive via email. Our tour of Tokyo with Chie was outstanding. 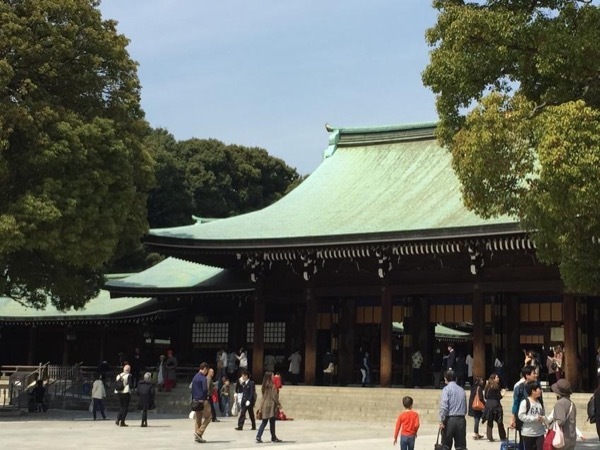 We really got a feel for both the traditional and the modern Tokyo, with tours of shrines as well as the anime district, and a great feel for the outstanding rail systems in Tokyo. She tailored the tour to our interests, and we really enjoyed ourselves. We highly recommend Chie. Chie made a wonderful job. We enjoyed her knowledge, her engagement and her sensitiveness about our requests. My wife and myself had a very great privat tour in Tokyo. We had a great learning experience with Chie in Tokyo. We visited a Fish Market, temples and strolled down the streets of Tokyo. I highly recommend to book a private sightseeing tour. You will learn so much about local culture and people. Thank you Chie-san! TOUR GUIDE RESPONSE: Thank you, Rose.